Welcome! 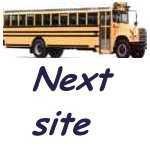 This page is all about buses and other bus related subjects. ATTENTION: I have gotten most of the pages to my own server. 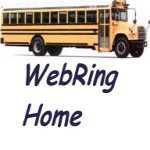 Please update your favorites to http://www.buses.cjb.net if they are not already. There will be many things still not working but I will try to get them working as soon as possible. In the forced change from Angelfire to this server some were lost. Want to Join the Web Ring? We reserve the right to duplicate, discontinue, or change the information on this page without written permission. The information and photos on this page are copyrighted material of the owners.